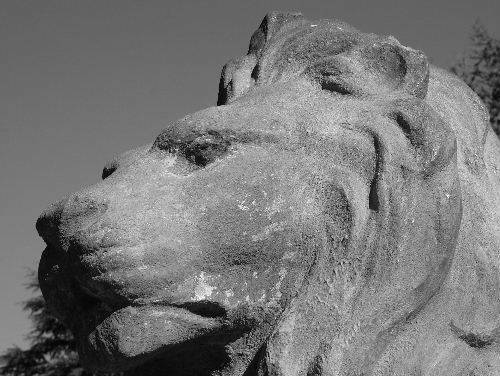 A close up of the Lion Sculpture. You've been to Cornwall Park. This shot reminds me of my childhood at this is the view of the lions when you are much smaller. The black and white also reminds me of photos of my brother sitting on them as a baby (I think every child in our city has a photo of them on or near the lions). This lion looks very regal in this photo. I like this in black and white.